Mayfield is ideally located just 2km from the Cranbourne town centre, so you’re close to everything that makes life easy. Here you’ll find a number of shopping and professional service options including a major retail and shopping precinct, Cranbourne Park which is home to a number of big brands including Coles, Kmart, Target and Woolworths, to name a few. High Street, Cranbourne’s main boulevard, allows easy access to a variety of local shops, cafes and restaurants. 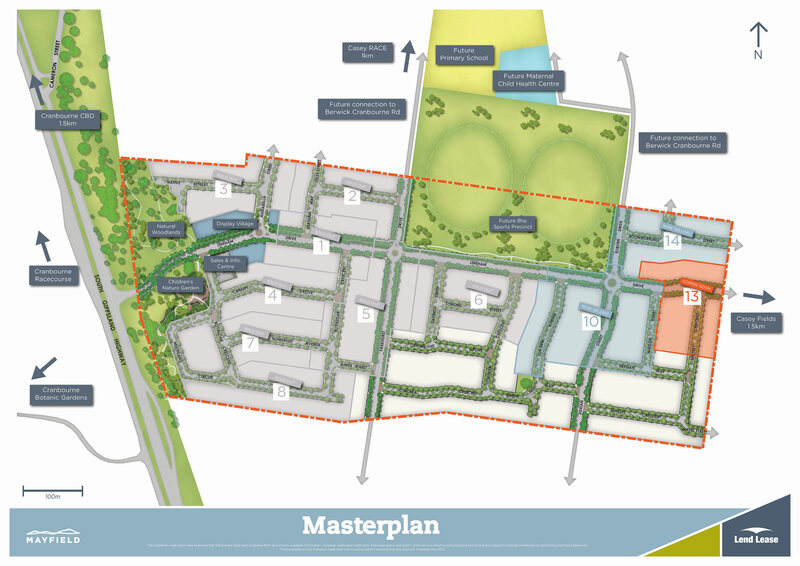 There are also plans to construct a Clyde Village Shopping Centre in neighbouring suburb Clyde. With direct access to South Gippsland Highway, the Melbourne CBD and all the shopping destinations and amenities in between, you’re placed well to make life easier. Mayfield is ideally situated within easy reach of some of the Southeast’s major attractions. Located at the gateway to the Mornington Peninsula, you’re perfectly positioned to make the most out some of Australia’s most iconic vineyards, sample the regions fresh produce and have the opportunity to explore more than 50 cellar doors. Living at Mayfield allows you to take time to relax, unwind and make the most of life.